Looking for a fun and simple way to spice up your typical Mexican food night? If so, then this Mexican burrito recipe is right up your alley. With delicious, fresh flavors, this dish will leave everybody at the table satisfied. Plus, it’s easier to make than you might think! Now that you have all of your ingredients, it’s time to get cooking! Start by heating each flour tortilla until it’s soft and pliable enough to work with. A good way to do this quickly is to place the tortillas in the microwave for about 10-15 seconds, with paper towels placed between each stacked tortilla to prevent them from sticking together. Once your tortillas are nice and soft, lay them out flat and spread the black beans, rice, shredded chicken, Baja sauce, and jack cheese onto the center of each tortilla. It’s best to layer each ingredient. 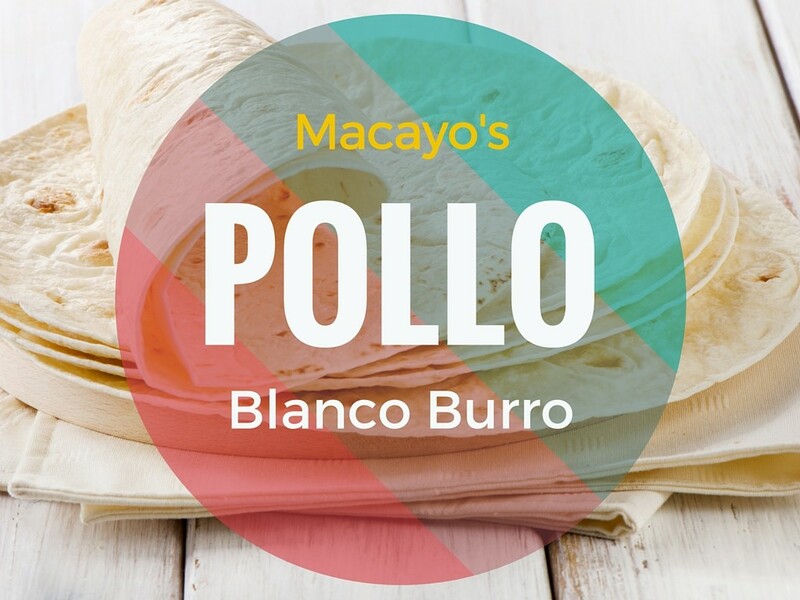 Be sure that the chicken is drained of all juices before layering, too, as this will help to prevent a messy burro. Now that the tortillas are stuffed, it’s time to roll them up, just as you would with a traditional burrito, making sure each end is enclosed. Now, set each burro on an oven-safe plate or tray and run it through the oven just long enough to heat them and leave the tortillas nice and crispy. Once each burro is heated, remove from the oven and cut in half at a 45-degree angle. Garnish with the cabbage pico mixture, and serve a side of the tomatillo salsa in a ramekin. Serve and enjoy! As you prepare this dish, there are a few specific tips you’ll want to keep in mind based on some common mistakes people make. For starters, make sure you do take the time to heat up your tortillas before you get started. Otherwise, you’re probably going to end up with a torn tortilla when it comes time to roll your burros! You’ll also want to make sure the tortillas you’re using aren’t too thin. Furthermore, make sure that you’re layering the right amount of ingredients in the center of each tortilla; using too much of any ingredient can result in your tortilla tearing when you roll it as well. By keeping these few simple tips in mind, you’ll end up with perfect burros every time. There you have it! A simple yet delicious Mexican dish for your next weeknight meal. We recommend serving this up with a great salad, a side of rice, beans, or any of your favorite Mexican sides. And as always, if you’re looking for a delicious Mexican meal without the work, come out to Macayo’s!